It’s always hard to find guided reading materials. While best practice will tell you to consistently use short texts in reading instruction, I find it effective (and fun) to mix it up every now and then and throw in a novel. While I think it is a flagrant waste of time to read the entire novel in guided groups, it is excellent for giving kids the “guided tour,” as Carol Jago would say, and then letting them read a bit on their own. Not only do I think that true children’s literature will provide a more authentic experience, but it also helps them build stamina when reading a longer text. Because of this, I would err on the side of an easier text, so that you are not making them conquer a book that is truly at their instructional level when you won’t be reading the entirety with them. However, I would also choose something that’s a bit more complex than a purely independent book, seeing as they will have some time to do close reads and clarify with you. Right now, I am working on tone and character development with my class, and we are reading Sisters Grimm by David Buckley. This book is definitely at a level that requires a lot of guiding, especially towards the beginning, as the author’s techniques and vocabulary would probably have been too difficult for them to comprehend at first. Additionally, I decided that I needed some other books that would allow me to teach character development in guided reading to accommodate diverse reading levels, and that the materials that come with the Treasures sets are often inauthentic and rather disengaging. I chose each of these books with my students in mind, specifically, and my intention was to provide a guided reading experience to begin (i.e., the “guided” tour), and gradually releasing the responsibility onto them, eventually pulling them to read specific selections closely and inquisitively. By the end of the book, I plan to have them reading most of it independently and returning for discussion. Hollis Woods has a chip on her shoulder. She has been in and out of so many foster homes, and one can imagine why. Throughout this story, the reader learns about Hollis’s troubling childhood and many painful memories, one specifically that still haunts her terribly. 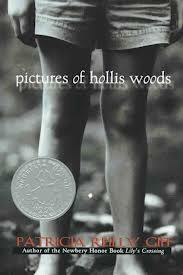 Throughout the story, Hollis introduces parts of herself using pictures, helping children to simultaneously understand the power of flashback as well as an intense and complex character, Hollis. 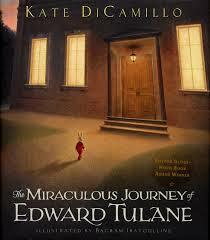 Edward Tulane takes readers on quite an adventure, also helping readers to learn about the power of friendship and love. Edward, a porcelain bunny, comes off as arrogant and narcissistic in the beginning of the story. He frequently is indignant and apathetic towards his owner. He even ignores her on occasion, even though she cannot tell due to the fact that he is inanimate. When on a trip with Abilene, his owner, Edward becomes lost and goes on a miraculous journey where he learns a great deal about himself, but more so, he learns how to love. Kino and Jiya are great friends, and both live on a mountain in Japan. Kino lives up higher on the mountain, whereas Jiya lives next the ocean. 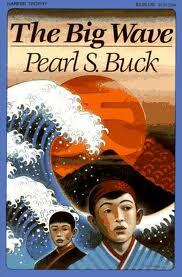 When a tsunami comes through and wipes out a great deal of the town, Jiya loses his entire family and his home. Both of the boys learn about bravery, loss, and recovering from loss in this story. This excellent book has a rather low Lexile, but do not let it fool you, as it is packed with layers of meaning, waiting to be unpacked by close readers. The story opens with a suitcase metaphor–Rob comparing himself to a suitcase in the sense that he packs all of his feelings inside in order to ignore them. He seems to be ostracized at school. 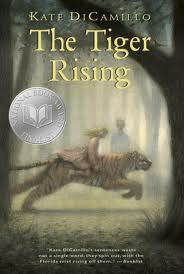 One day, he finds a tiger in the middle of the woods, which begins to consume his thoughts. This tiger, along with other events, seem to pull Rob out of his suitcase slowly, as he learns to deal with his feelings and his past. 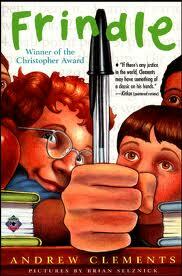 Frindle is a fun, light-hearted story about words. I think this book is excellent to look at more shallow characterization, especially for your students who struggle with inferring. Nick is a mischievous and clever student who frequently plays tricks on his teachers until he meets his fifth-grade teacher, Mrs. Granger. The two clash, and through this relationship, they both grow immensely by the end of the story. Each of these stories are not only engaging and well-written, but they help kids to see the change in characters throughout a story while still helping to build their stamina. In addition, many of these stories have a rather clear tone in which the narrator speaks, helping to reinforce this target as well. I would recommend reading them with your kids. They will love them, and they will learn a lot!